Ups, sory I forgot to put the password. Now the password all ready put on. I'm waiting for your sharing next time if the bot is patched, I like your blog, so simple design. Plz help to because I could not find the password for download the bot? What do you mean you can find the password? The password all ready I put on the page, read and see carefully. Thanks a lot Tata I have installed on my system but still not working.I am using windows 7 and tried to run as Administrator but get to no avail. Plz help I am here....? 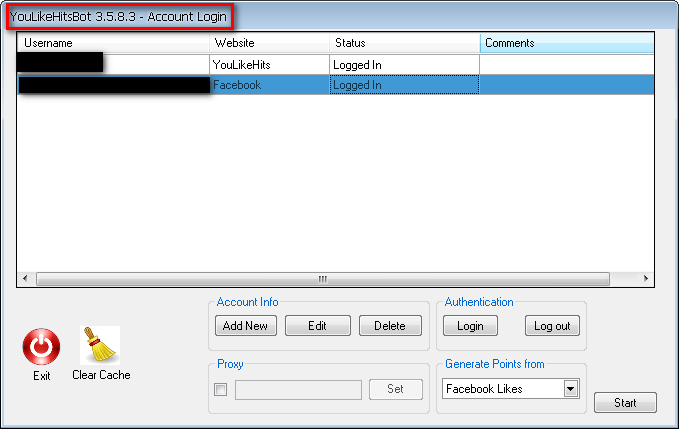 i found a new bot better dan youlikehits bot..
wp bot..it also include youlikehits site..
pls patch this software..and provide us full version.. I have pasted the crack file into the YLH folder but the bot not working for me.Plz advice what I have to do now? After instalation finished try don't open the bot first. Open the instalation folders, remove the original YouLikeHitsBot. exe and paste the crack of YouLikeHitsBot.exe into instalation folders and run the bot. If still don't work maybe your computer have a virus or the bot blocked by your firewal, perharps. I have done the same thing as you describe above but I YLH bot still not working for me. I have used evolution version of the ylh bot before without any problem but 03 days trial expires and asking for paypal id. But I have removed that version completely and installed from your above attached file, follow your instruction one by one but no success. Please tell me if you have any idea? For All : Sorry about that, but I don't have any idea how it to make your bot work like my own. I all ready give instruction to make it work for you but nothing can help. Once again sorry about that. But don't worry I will make post again if I got a new bot for all YLH fans, and I hope it works for you all. So stay update and thanks for visiting my blog. Before you can download the bot, you must input password to unlock the download button. 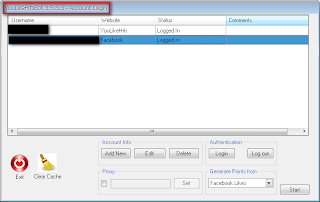 The pass word for the link is "Input-Password-Please" and the password for the file is "YouLikeHitsBot". See the page and read carefully. Thanks for visiting my blog. And stay update here, because soon I will post the another Bot. Tata Palbers you use Widows Xp or wht? More powerfull better than the bot. *Dampaknya : Network kita jadi error walaupun masih enable tapi gk bisa di pake Browsing dll. Bottenmaru anak Snutz(. )us ya..hehehe saya juga dulu nya anak snutz(.)us. Terimakasih untuk info nya gan. Tujuan lain dari mereka merubah host dikarenakan ini BOT cara jalannya melalui server mereka dan harus menggunakan server mereka, untuk network kita tidak bisa dipakai buat browsing mungkin terlalu hebat. Karena network saya baik-baik saja..
Tapi terimakasih atas informasinya, semoga berguna buat blogger-blogger Indonesia.